This stunning mosaic is made from upcycled junk mail! 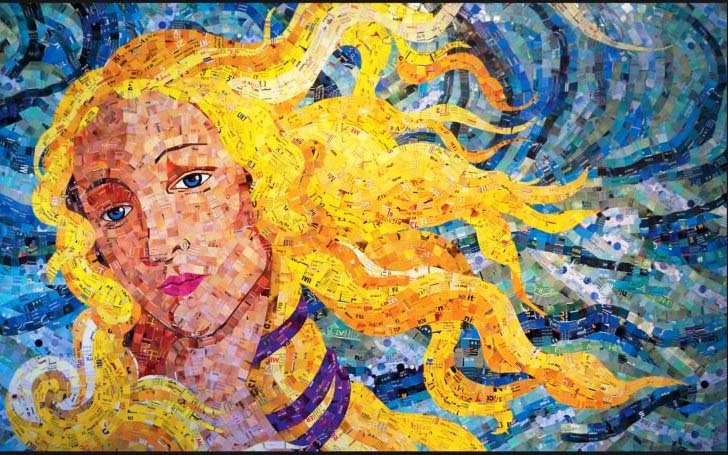 It’s called “The Birth of Venus,” and it is one of many creations from eco-friendly artist Sandhi Schimmel Gold. 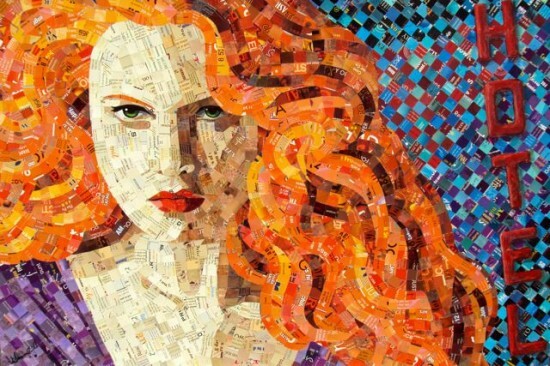 She upcycles junk mail and other paper waste into this truly fine art. 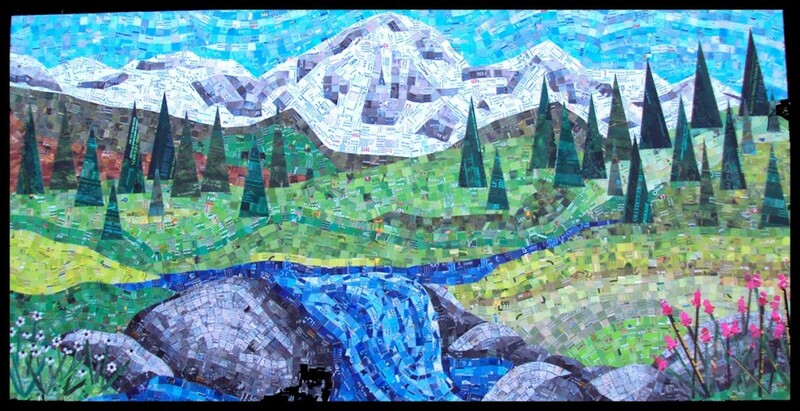 All of her work is “hand-painted, hand-cut, hand-applied, hand-embellished, and hand-finished.” This unique technique is all her own, and she calls it Acrylic Mosaic Fusion. All of the materials are water-based, acid-free and non-toxic. Schimmel Gold’s initial inspiration came from a portrait made from colorful glass fragments she encountered while visiting Venice several years ago. The piece was too heavy to carry by train so she decided to recreate it once she returned home. A recycler/upcycler by nature, Schimmel Gold spent a number of years perfecting her technique to include the use of junk mail. We think her vision “to create beautiful yet thought-provoking images of beauty in vibrant color” has certainly come to fruition. While known for her colorful female portraits, Schimmel’s creations also includes a diverse mix of everything from horses to skulls to landscapes and flowers. Each piece is equally unique and stunning. 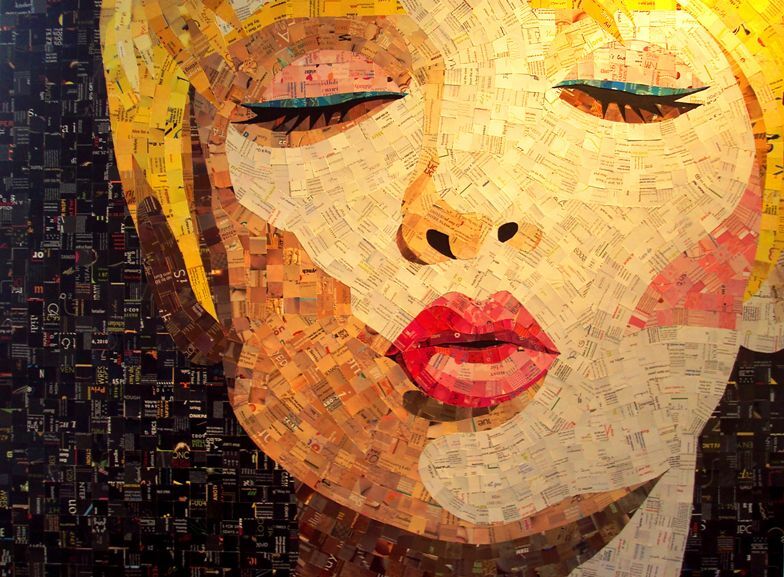 We think you will be inspired by her work. Thank you Sandhi for uniting fine art with eco-consciousness. Well done!